Prior to joining Triple Jump, Julia acquired eight years experience in the business incubation industry. She worked as a project manager for the European Business and Innovation Center Network (EBN) before joining the World Bank Group, where she spent five years strengthening infoDev’s experience in private sector development, including through the design and implementation of innovative business incubation and early-stage financing services. 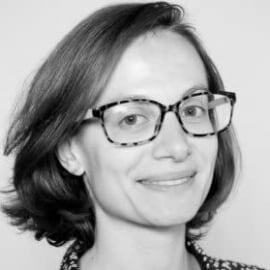 Julia holds a MSc in European Communities and Union Law from Paul Cézanne Aix-Marseille III University and a MSc in European Political and Public Affairs from ISMaPP.